Captain Fuqua is a native of San Diego, CA and a 1974 graduate of Utah State University. Upon receiving his Bachelor of Science degree in Forest Science, Captain Fuqua reported to Aviation Officer Candidate School (AOCS) in Pensacola, FL as a member of Battalion III, Class 29-74. He received his commission as an Ensign in December 1974 and his Naval Aviator Wings in December 1975. Captain Fuqua reported to the Eightballers of HS-8 at OLF Imperial Beach, CA via the Fleet Replacement Squadron, HS-10 in the summer of 1976. During his first tour, he participated in two Western Pacific (Westpac) deployments and in the squadron’s move to its permanent home at NAS North Island, CA. Upon completion of this tour in July, 1979 he reported to HS-10, as an instructor pilot. During this tour the first SH-3H’s arrived at the fleet and he was in the initial contingent to introduce this increased capability to the fleet. In June 1981 Captain Fuqua departed HS-10 and reported to the Naval Postgraduate School (NPGS) in Monterey, CA. During this 18-month assignment, Captain Fuqua studied Computer Information Systems Management and received a Masters Degree in Information Systems in December 1982. Returning to the fleet, Captain Fuqua reported aboard USS Tripoli, LPH-10 in January 1983 as the Assistant Air Officer and Safety Officer. 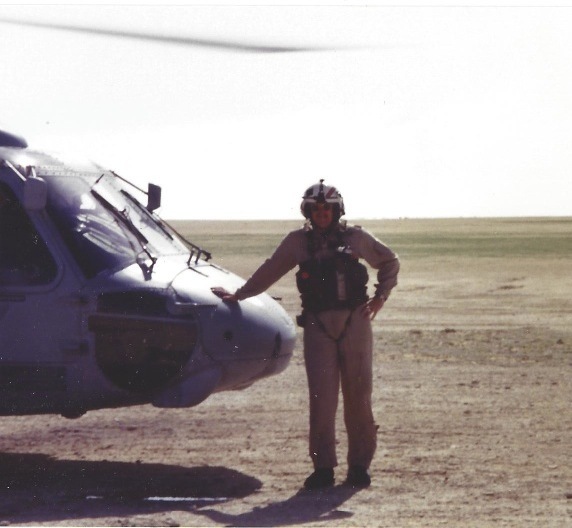 While assigned to Tripoli he participated in a Westpac deployment, embarking HM-14. In the course of this assignment he became fully qualified in the UH-1N. Upon completion of this tour, Captain Fuqua was assigned to the Naval Military Personnel Command (NMPC) at the Navy Annex in Washington, DC in the Personnel Assignment Division (PERS-43) as the Helicopter Shore Assignment Officer. In this capacity he was responsible for the worldwide assignment of all Navy Helicopter Pilots returning to shore duty. After a period of one year, Captain Fuqua was reassigned as Flag Aide to the Deputy Chief of Naval Operations (Plans, Policy and Operations), OP-06 VADM Don Jones in the Pentagon. While Flag Aide, he was responsible for Flag correspondence, schedule, logistics, honors, and any other duties as required. At the end of his tour in OP-06, Captain Fuqua was once again assigned to the Eightballers of HS-8 in NAS North Island, CA in December 1986 as a Department Head. During this tour he was assigned as the Administrative and Maintenance Officer. He participated in a Westpac/Indian Ocean deployment and was heavily involved in supporting “Operation Ernest Will”, the reflagging of Kuwait tankers as they transited the Straits of Hormuz. It was while he was a Department Head in HS-8 that he was fortunate enough to be selected for Aviation Command. Upon completion of his assignment at HS-8, in April 1989 Captain Fuqua reported to the Fleet Replacement Squadron, HS-10, this time as Executive Officer. 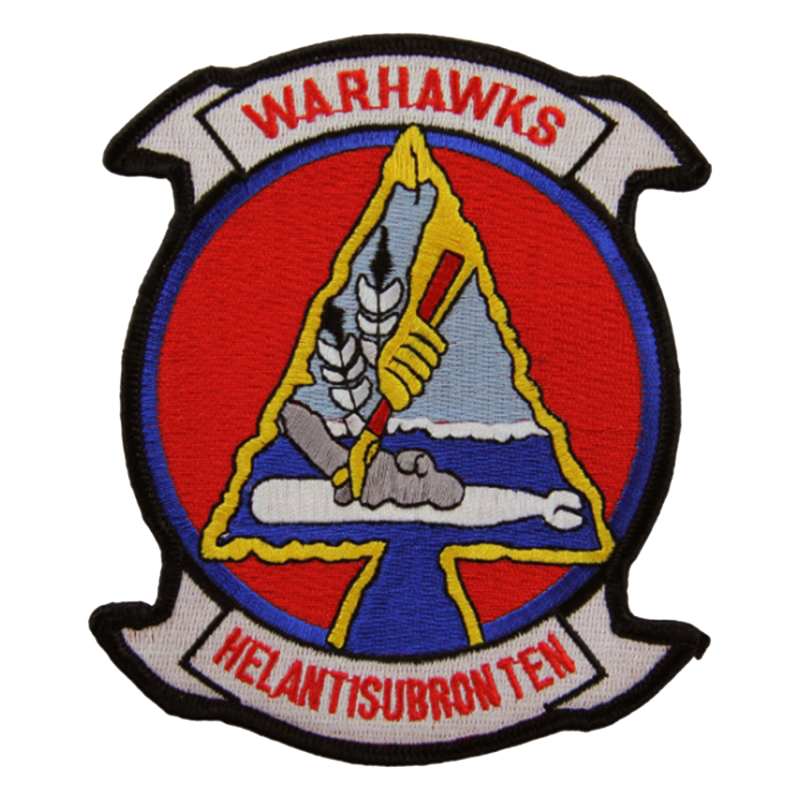 During this tour, the first SH-60F and HH-60H Seahawk aircraft were accepted by the squadron and they commenced fleet transition of all West Coast HS squadrons from the SH-3H to the SH-60F. Captain Fuqua helped lead a dramatic expansion of squadron capability and footprint as a new training building was opened, new motion-based trainers were delivered and the squadron grew considerably in size. 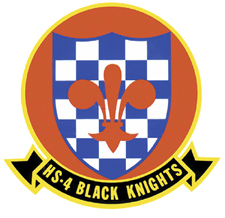 Having been selected for Aviation Command, Captain Fuqua was assigned as Executive Officer of the Legendary Black Knights of HS-4 in August 1990. He spent approximately 18 months as Executive Officer, and then assumed Command and departed in August 1993. During his time in HS-4 the squadron completed transition to the SH-60F and HH-60H aircraft. They participated in an “around the horn” of South America deployment aboard USS Constellation (CV-64) as she relocated to San Diego after a major upkeep period in Norfolk, VA. Upon returning to San Diego, the squadron was assigned to Carrier Air Wing 11 and participated in a Westpac/Indian Ocean deployment. During this deployment, HS-4 was fortunate to be one of the only squadrons to deploy with 6 SH-60Fs and 2 HH-60Hs that provided full ASW and CSAR capability to the Battle Group Commander. The highlight of this deployment was that USS Constellation was the first aircraft carrier to be assigned to the Somalian Area of Operation to support “Operation Provide Hope”. During this event, Captain Fuqua led a deployment forward to base on USS Tripoli (LPH-10) in support of the US Marines ashore. They were then reassigned to the Arabian Gulf in support of “Operation Desert Fox” and provided forward deployed CSAR capability to support operations ashore in Iraq. During his time in HS-4, Captain Fuqua was selected for a sequential command assignment, left HS -4 in August 1993 and reported to HS-10, this time as Commanding Officer. As the CO of the Fleet Replacement Squadron, he was instrumental in continuing the transition to the SH-60F of all West Coast based HS squadrons. In December 1994 Captain Fuqua received orders to report to the Chief of Naval Operations (OPNAV), Air Warfare (N-78) Staff in Washington, DC as the Aircraft Carrier Helicopter Requirements Officer. It was during this assignment that he was instrumental in putting in place the Helicopter Master Plan (HMP), which would fundamentally change the nature of the USN helicopter community for the next several decades. Captain Fuqua, along with Captains Dave Willman, Frank Pagano, Chuck Deitchman and Richard Osterlund worked with Captain Larry Cable in NAVAIR to formulate and promote this plan to the Helicopter Community and the Navy as a whole as well as inserting it formally into the Planning, Programming, Budgeting and Scheduling (PPBS) process. The HMP was designed to reduce the number of type/model/series helicopters from seven to two and save an estimated $18 billion over the course of 20 years. This revolutionary program, combined with the implementation plan (Helo CONOPS) that was subsequently developed several years later has had a dramatic and ongoing impact on the fleet. At the time the HMP was viewed as the model of aircraft community management and the impact to Naval Aviation in general was deep and widespread. During his time in OPNAV, Captain Fuqua was selected for a Major Shore Command assignment. After two intense years in OPNAV, Captain Fuqua was assigned to the National War College at National Defense University based at Ft McNair, Washington, DC. Over the course of the next year he became an expert in the Maghreb and conducted intense study in the region culminating in a regional study trip to Tunisia, Morocco, and Spain. He also became immersed in study of the American Civil War, visiting numerous battlefields. At the end of this year of study, Captain Fuqua was awarded a Master of Science in National Security Studies. In July 1997 Captain Fuqua reported as Commander, Helicopter Anti-Submarine Wing, U.S. Pacific Fleet at NAS North Island, CA. This two-year assignment was the culmination of a very rewarding career in the HS community as he was responsible for training and administration of all HS assets in the Pacific Fleet. Captain Fuqua retired from active duty in September 1999. His personal awards include the Legion of Merit, Meritorious Service Medal (4 awards), Navy Commendation Medal, Navy Achievement Medal (2 awards), National Defense Medal, Armed Forces Expeditionary Medal, Southwest Asia Service Medals and various unit commendations and ribbons. Upon retirement, Captain Fuqua was hired by L-3 Communications, Ocean Systems Division as a Marketing Manager for their line of Sonar Systems. After one year, he was hired by Raytheon Integrated Defense Systems as Senior Marketing Manager for the Ship Systems Division at their Expeditionary Warfare Division in San Diego, CA. In this role he was responsible for new business development for the Shipboard Wide Area Network (SWAN) that was a critical part of the new LPD-17 San Antonio class ship. He was also responsible for seeking new international business for Ship Self Defense Systems which were resident in US Navy Aircraft Carriers and large-deck amphibious ships. After three years, Captain Fuqua was hired by Northrop Grumman Aerospace Systems, Unmanned Systems Division in San Diego, CA as a Senior Business Development Manager focusing on the MQ-8B Fire Scout Vertical Take-off and Landing Tactical Unmanned Aerial Vehicle (VTUAV). During his time working on Fire Scout he was instrumental in furthering the development of this unmanned system and, more importantly, was a key member of the development team that was successful in evolving the MQ-8B to the MQ-8C, which was based on a Bell 407 Jet Ranger and used the same operating system as the MQ-8B. This evolutionary and revolutionary change to the MQ-8C provided the US Navy with twice the range and three times the carrying capacity of the MQ-8B. In 2009 he was selected as Business Development Director, Medium Range Tactical Systems, Northrop Grumman Corp. In this capacity he was responsible for all new business development for a wide range of products in this division. In 2011, Captain Fuqua was promoted to Director, International Business Development for Unmanned Systems and focused on global business development for the portfolio of Unmanned Systems including Triton, Global Hawk, Firebird, Fire Scout, and BAT. In 2014, he retired from Northrop Grumman Corp. Upon retirement, Captain Fuqua established Fuqua Global Systems, LLC and commenced a private business development consultancy in which he primarily advised clients on strategy, military affairs and unmanned systems. In 2016 he fully retired and currently focuses on family, travel, is an active member of Rotary, a docent at the USS Midway Museum, and devotes enough time to golf to be frustrated. He is married to Patricia Pouliot Fuqua, a retired Resource Specialist at the Elementary level and resides in Rancho Santa Fe, CA with their black Lab, Emmy. They have two children, Chris, a 1996 graduate of USNA and currently the CEO of “B.Good”, a fresh farm to table food company with 70+ stores in the U.S. and Europe and Tara, a 1st Grade Teacher at Maranatha Christian School in San Diego, CA. Chris and his wife Ashley reside in the Boston, MA area and have three children. Tara and her husband Jack, a 1997 graduate of USNA reside in San Diego with their three children.